I have updated for January 24, 31, and Feb 7. One week before choir practice I took the opportunity to set the hymn board for Sunday’s service. I started by taking all the numbers I would need out of the pile and I started to worry that I might run out of sevens and fours. At the practice later I commented, “This weeks service will be brought to you by the numbers four and seven.” After we finished joking around about Sesame Street and the shows brought to us by a number and a letter each episode, we went on to practice. As a member of the team who select the weekly hymns I can assure you that we did not set out to see how few different digits we could use. We had no bias that week against twos, threes, fives, or nines. There are times in the church year, like Advent, Lent, Christmas, and Easter when the majority of the hymns will come from that seasonal section of the book. At these times all the numbers will be within around thirty of each other. If the theme for the week is mission the numbers are likely to be in the 700 s as that is the area of the book for that type of hymn. 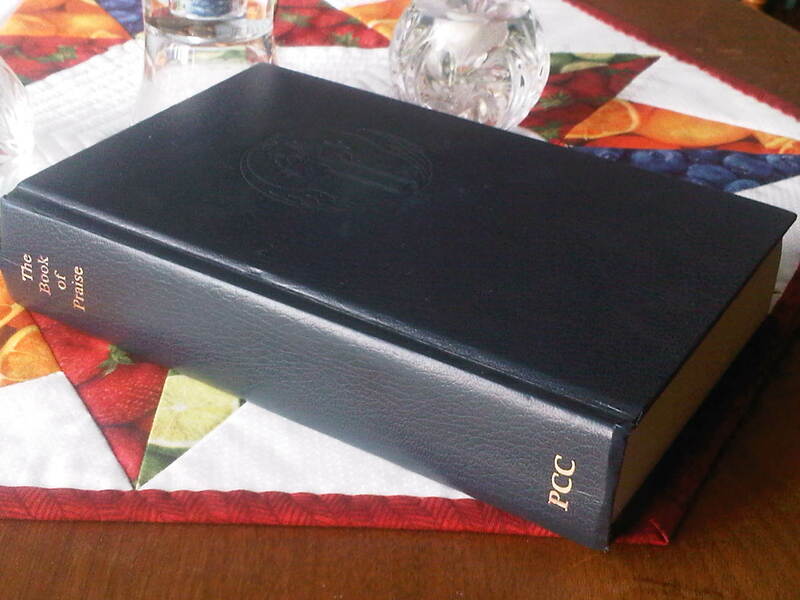 Our Presbyterian Church in Canada Book of Praise, like most I expect, is organized with the sung Psalms at the beginning, sections of hymns for the seasons of the church year in order, then a section for God, Jesus, the Spirit, and the Trinity. The rest of the book is organized thematically. A quick look at the hymn board when you first enter the church should give you a pretty good idea of the theme for the service. Hymn selection for services may seem random to the people in the pews, and indeed it may be some of the time, but usually a lot of thought and reflection goes into the choices. An integral part of worship, the hymns should be carrying the theme through the service and helping you to perceive and internalize the message. 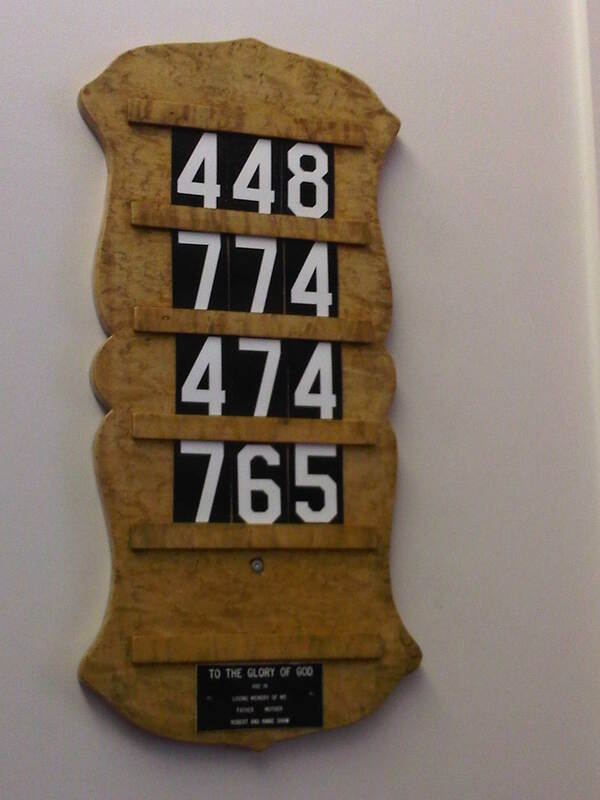 Check it out the next time you are in a church, whether using a bulletin or the hymn board. Look up a couple of the hymns to see what sections they are in. Are they grouped closely together or spread out? I realize that many churches probably don’t use hymn boards any more, instead projecting the hymns and service information at the front. Our church uses bulletins we give to each person with the order of service, unison prayers, hymn numbers and announcements. I guess we don’t really need a hymn board, but it is tradition. Back when the Psalms were in our Book of Praise the number of the responsive Psalm would also have been on the board which is why there are five rows and only four hymn numbers. 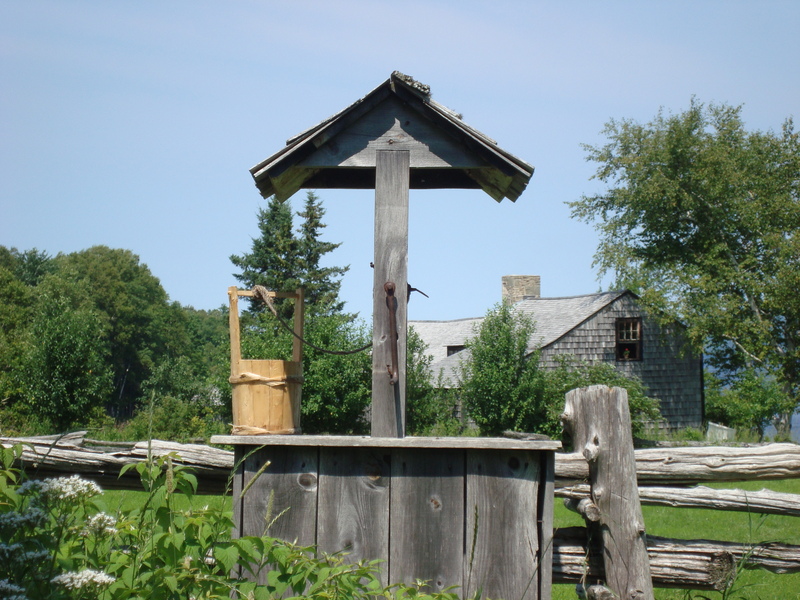 What is at the bottom of your well? When you are at your lowest and need refreshment, into what does that bucket drop? We go to friends and family for help, but what if they aren’t available? What if they have left us? What if they have died? There are lots of people out there to whom, for a fee, we can go for help. There are social workers, psychologists, psychiatrists, doctors etc. What if that doesn’t help? If you believe that there is no God that is where you hit the bottom. If you rely on your own strength for everything what happens when it turns out your strength has limits? Then not only do you not get help, you actually add self-blame for your failure to recover. If you believe in God, the Triune God, there is no bottom to your well at all. No matter how far you may fall God will reach down to pull you out. No matter how parched you become, there is no end to the availability of water. And all you who labor in vain and to the broken and shamed:Love is here. 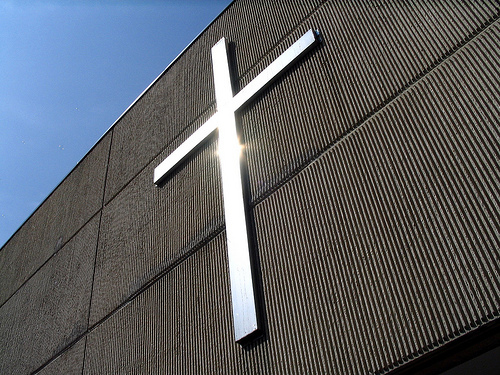 Another in a series of posts that go through hymns in The Book of Praise of the Presbyterian Church of Canada. I like this well-known hymn despite its repetitive lyrics. It is in the repetition that one is able to rest and, be still. Similar to the repetition in the lyrics the melody has a simple pattern with a rising line between two falling lines. The triple rhythm has a soothing almost rocking feel which adds to the stillness even more. to God our voices raise. our joyful noise of praise! the mountains’ breadth and height. the dry land took its form. This paraphrase flows well and uses language which will be simple even for children. Good to use when Psalm 95 comes up in the lectionary, this is also good to use any time creation or praise in general are a Sunday theme. Irish is a good melody with two distinctive phrase patterns. The first two phrases are primarily step-wise while the second pair has a series of skips and falls with eighth notes to add interest. The tune is used for one other hymn in the book, Thy kingdom come- on bended knee #784. Last night I had occasion to watch the movie Godspell. The movie came out in 1972 when I was eight, but what I remember are the multiple musical theatre productions of the show which I saw as a teen and young adult. I was, last night just as when I was a teen, held transfixed as the character of Jesus led his little group of misfits through the parables. When the partner songs begin at the end of the show with “Long live God” as they carry him away from the cross, being joined with “Prepare ye the way of the Lord,” from the opening of the show I was taken to that thin place! I felt lifted up, I was closer to heaven! I realize this sounds rather flakey or esoteric, but somehow the combination of the real stories of Jesus, the foolish antics of the disciples as they act them out and misunderstand their meanings, and the music is very affecting! We are led to praise God and celebrate the resurrection of Jesus, but not just that. At the same time as we shout, “Long live God!” we need to be preparing the way for the coming of Jesus! due praise aloud to sing. which by thy hands were made. The language is quite archaic. When was the last time you heard anything referred to as “comely”? I find the fact that verse two doesn’t end until the end of verse three irritating, as always when these things happen. The tune Bishopthorpe is a slightly less familiar melody, at least in the churches in my area. In 3/4 time, it begins with a syncopated pick-up note at each phrase. I really like the snappy rhythm in the second last bar. The range is slightly less than an octave, and it is easy to sing. This is the only hymn in the Book of Praise which uses this melody, though it does work with other 8686 CM lyrics.